I meet a lot of people, from all over the planet. I’ve met an especially large and diverse group of people over the last 3+ years, within my role at SendGrid. Most people I meet are operating within a world similar to mine, professionally speaking: think startups, tech, [insert geeky buzzword here], etc. I’m not a developer, yet time and again people assume I am. And they assume that you have to be able, to code to be part of a developer community. Putting myself in Other person’s shoes, I guess it’s easy to feel safe in making that assumption. 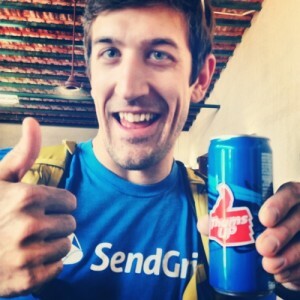 After all, SendGrid is a technical solution to a technical problem. Our founders are developers, our customers are developers, and our community is largely composed of developers. I’m surrounded by developers! Fact: I am not a developer. 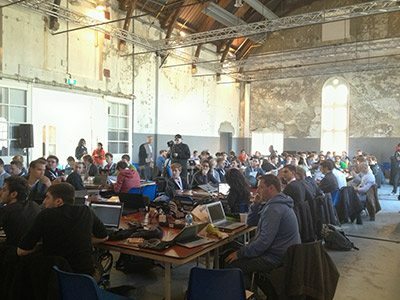 Have I attended more hackathons than most developers? Probably. Have I written code before? Yes, but not much. Have I built an app? Kinda, but not really. Do I want to learn? YES! fit into the developer community? hire and manage a team of developers? work with [predominantly] developers on a daily basis? not feel like a complete idiot at all times? …and how do you do all this effectively and with success? It’s pretty easy to be an equal member of the developer community, if you keep some simple ideas in mind. Don’t pretend to be anything that you’re not. Whether you’ve never written code and have no desire to, or you’re a dedicated, novice student of the craft, present yourself to other community members as such. Don’t overstate your experience or your level of interest in gaining said experience, just in the interest of winning over a new developer friend. A developer won’t shun you for lacking experience or interest in programming. Heck, she might even want to learn more about your “other” experiences and interests. Once you know who you are, you can determine where you fit among your fellow community members. As you meet people, try to gauge where you fall within the spectrums of experience and passion. As you learn more from those people, identify your own personal areas of interest and explore them. Get an idea of what pushes your buttons, and what’s not so cool in your book. As you follow your own path, you’ll figure out where you fit within the broader community landscape. After you’ve introduced yourself to the community and reached an understanding of how you fit into the puzzle, you should be well-equipped to jump in as a fully participative member of the community. You’ll see ways in which your individual contribution can add meaningful value to the collective good of the community at large. As cliché as it may sound, each community member brings to the table a unique perspective and personalized input. And a strong community is characterized in part, by the collaborative intersection of these diverse and unique personalities, perspectives, and actions. The average developer could be described in the following way: one who has gained proficiency in a language that allows him to communicate intelligently with computers. Somehow, that simple (and accurate) description has turned into something more complicated (and inaccurate), like this: one who has had bestowed upon her magical powers, making her capable of manipulating the internets, to follow her every command. Developers have a highly demanded skill. But the fact of the matter is that almost anyone can learn to code, if they so choose. On the other hand, each of us non-developers has a skill of our own – some more and some less highly demanded than coding. Whatever it is that you do well, embrace it, do it, and share it with others. But don’t think that you or anyone else is above or below a certain standard, because of that thing that you or they have learned and decided to sell. Developers are not unicorns. 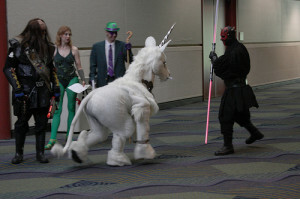 Unicorns are unicorns… silly. Being part of a community is awesome. That’s why communities exist. That’s why so many of us consider ourselves members of so many different communities. If you are looking at the developer community from the outside, and want to see it from the inside, be a part of it. If it’s not for you, you’ll find another. If it is for you, you’re in for a fun experience. #Protip: These ideas can be applied to almost any setting – not just the developer community. It’s not rocket science, by any means, but sometimes just thinking about the simple concepts helps us be better members of communities, societies, and civilizations. Thoughts? Related experiences? Funny joke? Share with us in the comments!